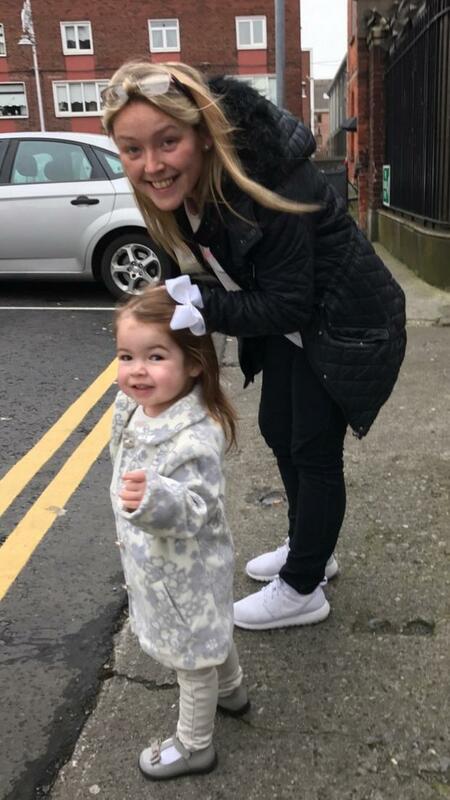 Dublin mother Yvonne Shannon has spoken about 'the worst news she has ever had' - that her daughter Ruby was diagnosed with a brain tumour aged just two-and-a-half. Yvonne, from Pimlico, has shared her child's cancer treatment journey at Crumlin Children's Hospital and has called for more awareness and investment into research. Yvonne said that the first time she realised something was wrong was when Ruby vomited up her bottle of milk one morning. “I took her to the GP and we thought it was a viral infection. She didn’t get any better after a couple of days so I took her to the Dub Doc at the weekend," she said. "I thought there was something wrong with her because she just wasn’t herself - even her eyes looked dull. "Ruby has big brown eyes and I knew they were off." The doctor examined her and sent Ruby and her mother to Crumlin Hospital with suspected meningitis, but the tests came back negative. "Ruby had started complaining of a pain in her head at this point, but that can be part of having a virus," she said. "Her whole body was shaking. Her eyes rolled to the back of her head and she was unresponsive. I panicked so much. It was terrifying. We called an ambulance and rushed into Crumlin." The next morning Ruby was still complaining about the pain in her head. Yvonne said that she was very vocal and saying there was still a huge pain in her head. "Ruby would say ‘Mammy, there’s an ouchy in my head!’" Yvonne said. On the 14th of February, Valentine’s Day, Ruby went for surgery to remove the tumour, in Temple Street Hospital on February 14 at the national paediatric centre for neurosurgery, to get the tumour removed. She was in surgery for more than eight hours. The surgery team believed that they had removed the entire tumour, but needed to do a MRI scan to confirm this. "I had the best news of my whole life when they sat down and told me they had removed the entire tumour - the greatest Valentine’s gift anyone could ever get!" Yvonne said. "After the surgery, Ruby had to learn how to walk again, sit up again, everything. 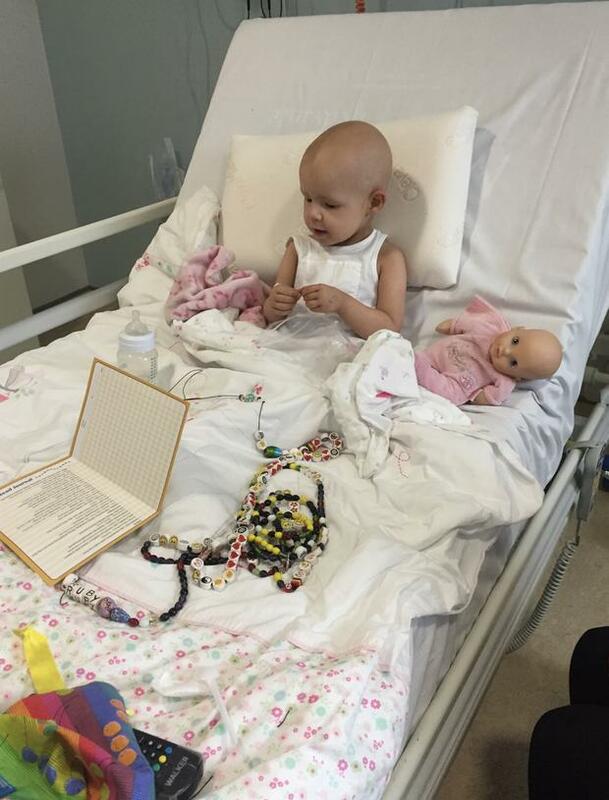 "Ruby had her Hickman line put in her chest and we did about seven months of chemo. Even though the tumour had been entirely removed and Ruby was cancer free, because it was a grade four tumour she needed to follow through with the plan to complete her chemotherapy course." 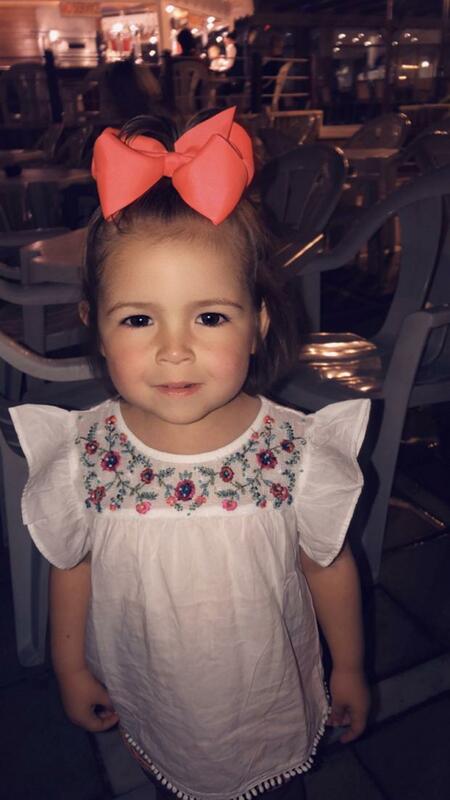 The little two-and-a-half year old had five days of chemo and then a break, but they couldn't stay too long at home because her immune system was so low. She received treatment at Crumlin for seven months. 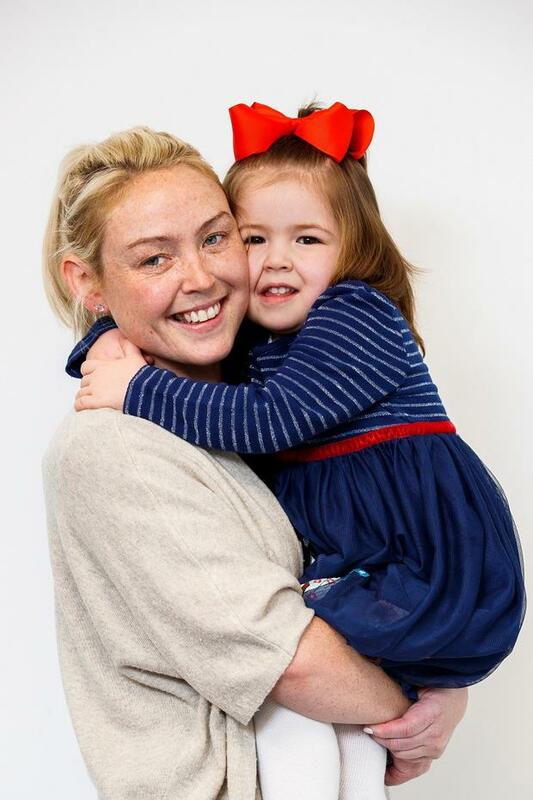 "Ruby is the toughest little girl and I’m so proud of her," Yvonne said. "It was such a terrible year but she fought her way through it. "The amount of family and friends that prayed for her and supported us was incredible. She’s got scars from her journey, but if you met her you’d never know what she’s been through. She’s a little trooper! "It’s a very hard and lonely place to be when you’re looking at your sick child. It’s soul-destroying. "Every time a doctor took her away all I wanted was to take her back because I couldn’t breathe without her." Yvonne has called for more awareness about the incredible work carried out by doctors, nurses and research staff at Crumlin Children's Hospital. "If I could say one thing to the incredible fundraisers it would simply be ‘thank you’. I don’t think you can say thank you enough." Ruby now goes for scans every four months. "Her consultant takes such good care of us," Yvonne said. "People worry about silly things. We all do it. It’s only when you’re faced with a situation like this that you forget everything else. "I don’t care what she wants to be when she grows up. I just want her to be healthy and happy. That’s all that matters.